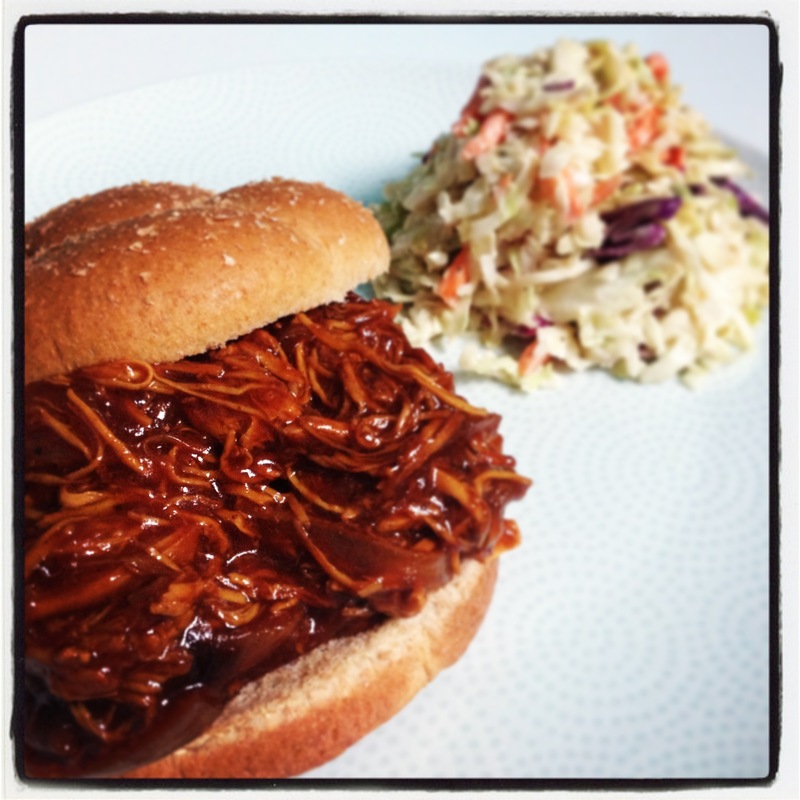 Super Easy Pulled Chicken BBQ Crock-Pot Recipe – Perfect for Game Days! | whyallthefuss? Since I have been super busy lately, of course I decided to use my most favorite appliance ever, yes that’s right, the crock pot! When I was growing up, I used to go to a local artisan fair called Foundry Day and one of the food stands served pulled pork BBQ and man were those things finger licking good! I seriously counted down the days until I could get my sandwich every year! Place all ingredients in Crock Pot, set on low and cook for 4 hours. After about 4 hours you can take the lid off and pull apart the chicken, it should just fall apart with two forks. And let it on warm until your family gets home. Mix Mayo, vinegar, brown sugar and Dijon mustard in a bowl. Place Cole Slaw in separate bowl and poor mixture over top and stir. If it is a bit too thick you can add more vinegar or perhaps milk. This is so easy! 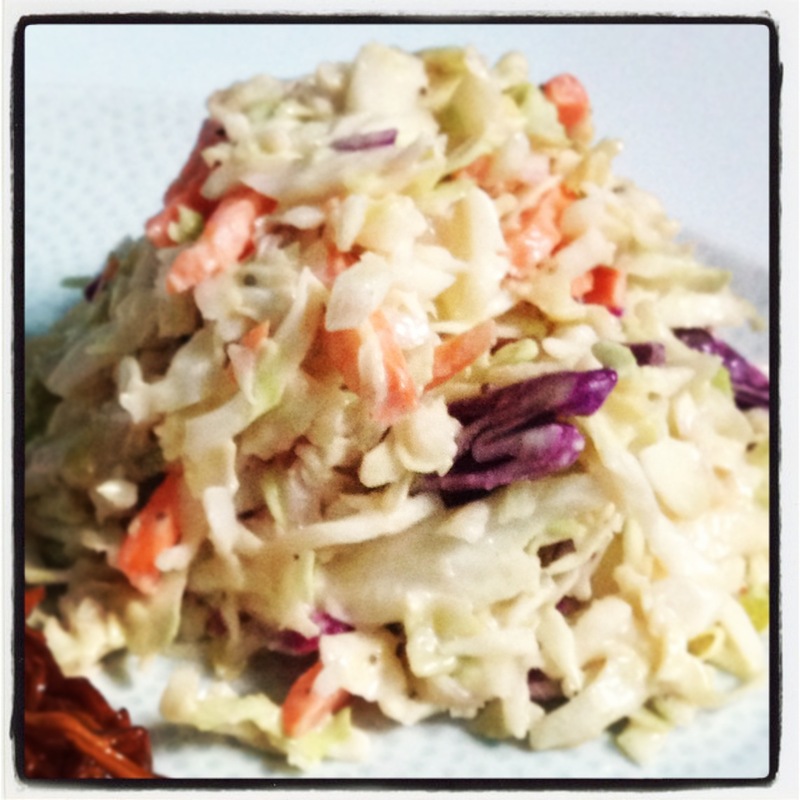 I found this Easy Low Fat Coleslaw recipe on about.com. They also added celery seed, I just didn’t have any on hand. This meal was insane! It was so yummy and a perfect easy peasy weeknight meal! This combo is also a great warm weather kind of meal. How often do you use your crock? So delicious! I’m going to try this tonight but use the pressure cooker instead! If you don’t have one get one!